Looking for the best dog breeds weighing under 20 pounds? If you love small dogs, you have to check out these top ten breeds! Small dog breeds are perfect for those who live in a rather small space, like an apartment, or those who are away from home for several hours a day. Also, small dogs don’t require as much food as bigger dogs, they usually don’t shed quite as much, and they generally have a longer life expectancy. 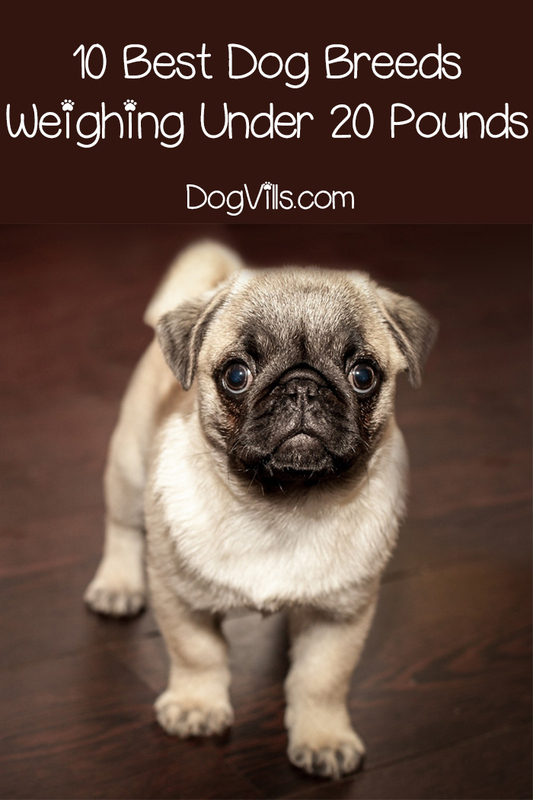 So, without further ado, here are some great dog breeds that weigh under 20 pounds. The Affenpinscher is also called the Monkey Terrier, because its name comes from the German word, Affe, which means ape or monkey. I don’t know about you, but to me Affenpinscher sounds a lot better than Monkey Terrier. History– This breed of dog is from German origin and dates back to the 17th century. They were first bred to get rid of rodents in granaries, kitchens and stables. 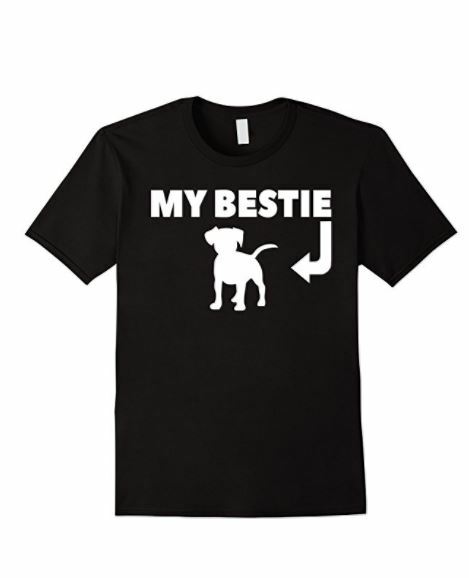 Personality Traits– Active, curious, fearless, intelligent, loyal and playful. These dogs have a high energy level and need exercise daily. The Australian Terrier is a descendant of the Rough Coated Terrier. History– This dog breed was brought to Australia in the early part of the 19th century, from Great Britain. The Australian Terrier was derived from other Great Britain terrier breeds, including the Cairn, Dandie Dinmont, Skye and Yorkshire. (I am baffled as to why it is called an Australian Terrier if it didn’t originate in Australia). Personality Traits– Adaptable, assertive, clever, lively, spirited and trainable. The Brussels Griffon is also called the Griffon Bruxellois. History– This breed of dog originated in Belgium in the 19th century and is the result of breeding King Charles Spaniel and Pug dog breeds. Personality Traits– Alert, excitable, friendly, intelligent, sensitive and stubborn. The Cairn Terrier is one of the oldest terrier dog breeds, dating back to possibly the 16th century. So, you all remember Dorothy’s dog, Toto, from The Wizard of Oz, right? Did you know he was a Cairn Terrier? Cairn Terriers are just adorable dogs, aren’t they? History– This dog breed came from the Scotland Highlands. It was first bred for hunting prey in the cairns (man-made stone piles) of the Scotland Highlands. Personality Traits– Active, assertive, fearless, hardy, impulsive and intelligent. History– No one is exactly sure about the history and origins of the Chihuahua. However, historians believe that these dogs derived from the Techichi, a small, wild dog that lived among the Toltec people in Mexico, possibly as far back as the 9th century. Personality Traits– Active, fearless, intelligent, loyal, saucy and temperamental. The Maltese features an aristocratic and distinguished look because they tend to carry their head high, they have fancy feather-like tails and they feature a glamorous white coat. I think Maltese have the most gorgeous white coat. I can imagine their coats probably get dirty quite often. What do you think? History– This breed of dog hails from Italy; more specifically, from Malta, part of the Mediterranean Island. Personality Traits– Active, gentle, lively, loyal, polite and trusting. The Miniature Pinscher is often thought to be a Miniature Doberman Pinscher. However, this is not the case at all. This dog breed is the result of a diverse breeding of several dog breeds, including Dachshund, Italian Greyhound and Manchester Terrier. I have to be honest here, I was one of those who actually thought these dogs were just a miniature version of the Doberman Pinscher! History– This breed of dog originates from Germany, dating back as far as the 1800’s. Personality Traits– Bold, curious, devoted, fearless, proud and spirited. The Papillon is also known as the Continental Toy Spaniel, because it is from the Toy Spaniel category. Papillon means butterfly in French, which attests to their ears the resemble butterfly wings. (Wow… has anyone else never noticed their butterfly wing ears? I never have until now. Guess it’s true that you learn something new every day). History– The earliest records of this dog breed dates back to around the early 1500’s in Italy. For hundreds of years, these dogs were the trusted companions of nobles and royals. Personality Traits– Agile, alert, cuddly, happy, lively and social. The Pomeranian is named after Pomerania, a historical region on the Baltic Sea’s southern shoreline, situated between Germany and Poland. (Pomeranians are my dream dog to own. I have wanted to own one for many, many years now. Who knows, maybe someday). History– The earliest records of this breed of dog dates back to 1764. They are believed to be a smaller version of the German Spitz dog breed. Personality Traits– Adaptable, clever, friendly, headstrong, intelligent and playful. The Tibetan Spaniel is actually not a true Spaniel at all but is closer to the ancestry of other short-nosed dog breeds, like Japanese Chin, Pekingese, Pug and Shih Tzu. History– This breed of dog was first bred by Buddhist monks in Tibet’s Himalayan Mountains, close to 2,500 years ago. Personality Traits– Assertive, bold, independent, playful, protective and sweet. While there are other dog breeds weighing under 20 pounds, these are definitely our top 10 picks! Many of them are even hypoallergenic, making them a perfect fit for families with allergies. Do you have any of these top 10 dog breeds weighing under 20 pounds? I’d love to hear about your pup! Share below in the comments!